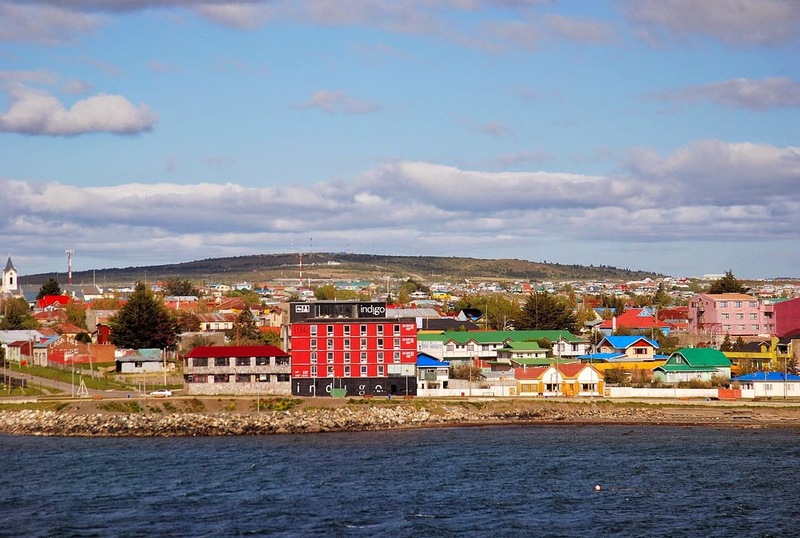 In 1981, when I first traveled to Patagonia, Puerto Natales (pictured above) was a forlorn town on the appropriately named Seno Última Esperanza (“Last Hope Sound”). Today it’s the southern terminus for the weekly Navimag ferry (pictured below) from Puerto Montt, but at that time the only maritime connection was a rust-bucket freighter called the Río Baker that I and several other backpackers tried to talk our away aboard for the return voyage north. I tired of waiting for the Río Baker and, ironically, after I had made arrangements for visiting Torres del Paine (pictured below) – a hikers’ heaven known only to a handful of visitors at that time – my backpacker friends managed to persuade the captain to let them on board. It was another dozen years before I could enjoy the wild mountain and maritime scenery between Puerto Montt and deepest Patagonia. 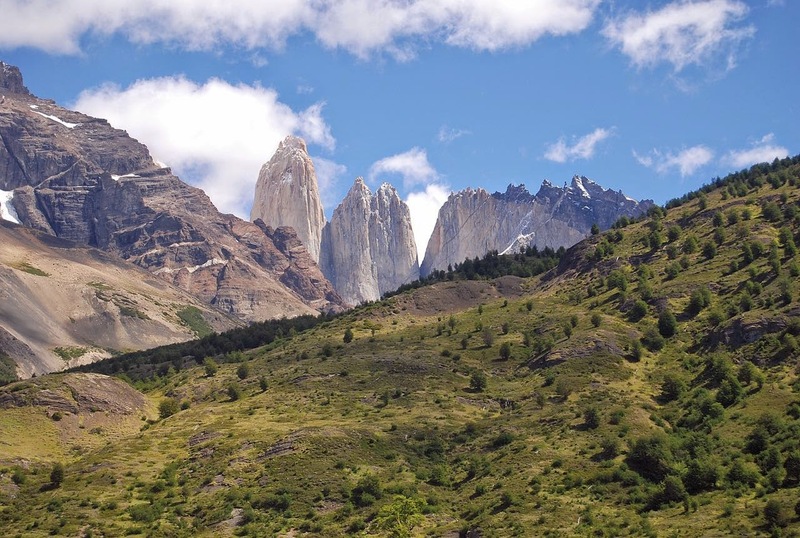 The granite spires of Torres del Paine rise above less resistant terrain. When I first saw Natales, it hadn't even a single stoplight, and it wasn’t so long ago that the first ones appeared. Until the 1970s, the biggest industry was the meat freezer at nearby Puerto Bories, which processed lambs for export but is now an industrial museum within a spectacular design hotel. 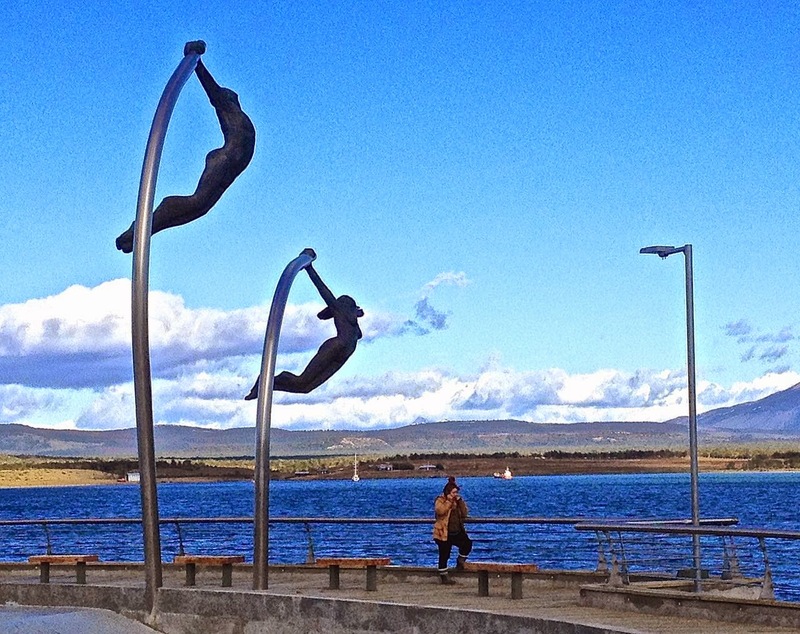 Natales’s once neglected waterfront has become a park, dotted with children’s playgrounds, a skateboard park, and even innovative sculptures. 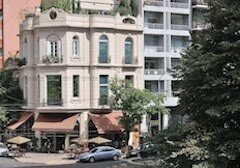 Once there were only a handful of accommodations such as the Residencial Magallanes, a rambling residence where I slept in an attic that barely kept the wind out. There remain plenty of traditional “Magellanic” houses, today there’s also a multitude of stylish hostels, B&Bs like the Kau Lodge, boutique hotels such as Indigo Patagonia and resorts like the audacious museum/hotel complex known as The Singular at nearby Puerto Bories. An influx of Chilean entrepreneurs and expats has also brought sophisticated restaurants such as Afrigonia – a fusion of Patagonian ingredients and East African flavors – and Angélica’s, with high-end versions of traditional seafood dishes. 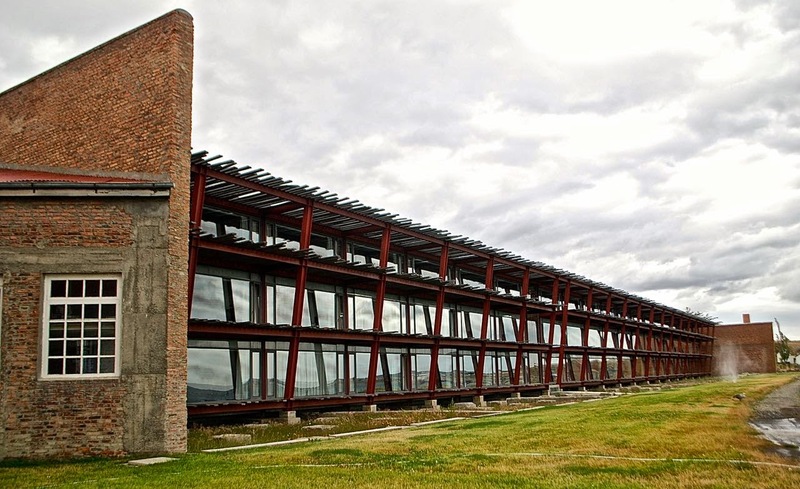 Just outside Puerto Natales, The Singular has converted the old slaughterhouse into a museum/hotel complex. Natales used to be a minor stopover en route to the Andean spectacle of Paine. Now it’s become a destination in its own right that deserves several days or more. 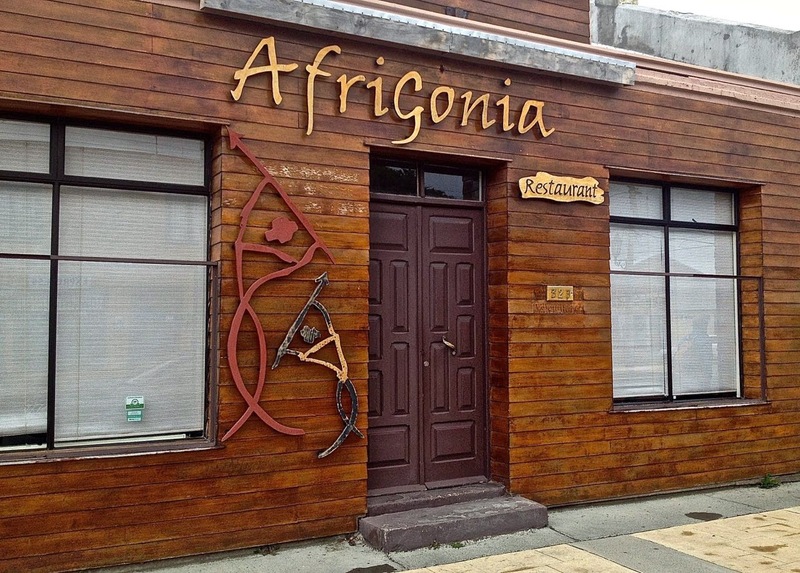 Afrigonia is a creative fusion restaurant in Puerto Natales. After a frustrating time in Santiago, where an overpowering virus of some kind kept me confined to a friend’s house – I don’t think she expected to spend nearly two weeks as my nurse – I was finally able to hit the road on Sunday, though I only made it as far as Talca, about 250 km south of the Chilean capital. 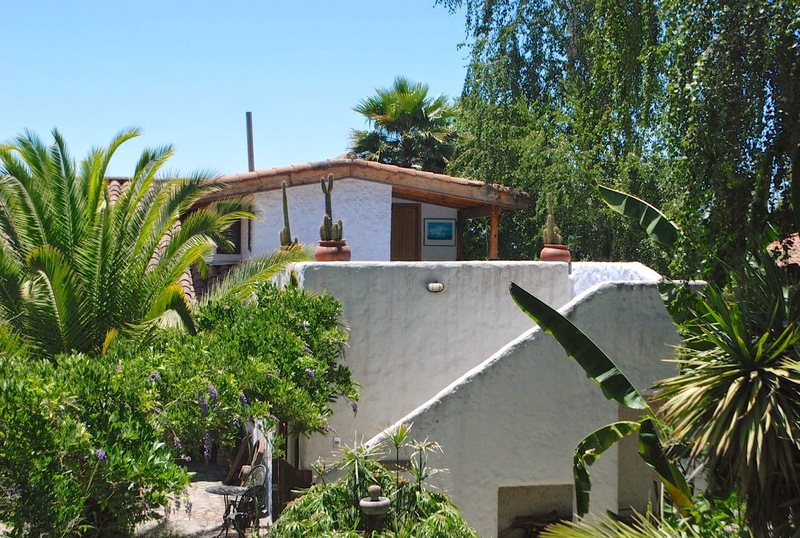 The best thing was that I was able to spend a night at Casa Chueca, one of my favorite accommodations in the entire country – occupying a former vineyard, it’s spread over a park-like environment of seven hectares that was a welcome respite from the red-hot streets of Santiago. 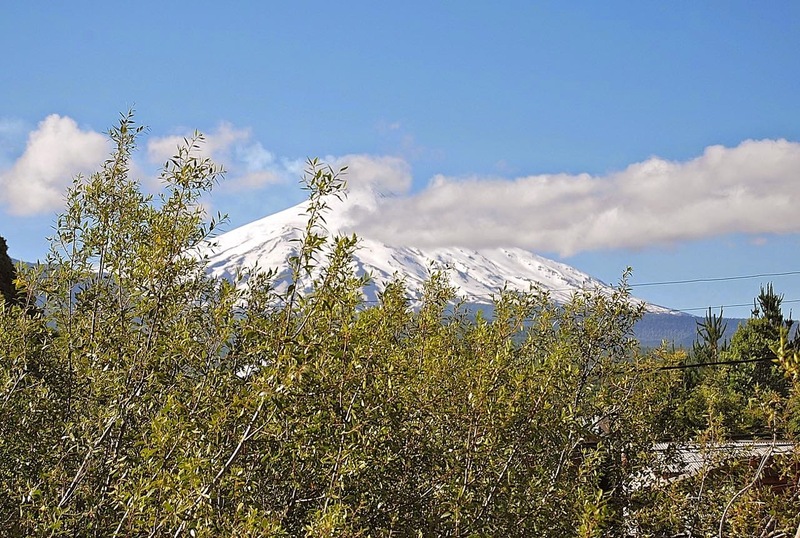 Then, yesterday, I continued to Pucón – a longer drive but, the farther south I got, the weather continued to cool, though it was still very summerish. From my window at Hostería ¡École!, I have an obstructed view of Volcán Villarrica, which is presently closed to climbers, but barely any wisps of smoke are visible around the crater. I’m only passing through here, en route to Puerto Montt to catch the Navimag ferry to Puerto Natales on Friday, with a brief stopover at Puerto Octay. For the moment, though, I’m going to post some observations on driving in Chile from the roughly 750 km I’ve driven in the past couple days. Some of this is anecdotal, so bear with me if I sometimes oversimplify. 1) Compared to Argentine drivers, many of whom are very aggressive, Chilean drivers are relatively sedate, but that can have its downside. Where there are three lanes on the freeway, the slowest drivers often occupy the middle lane, which means that faster drivers go around them on both sides. Where there are two lanes, they sometimes choose the fast lane; this is not something I adapt to easily, so I can’t afford even a short lapse in attention. 2) At this time of year, many young Chileans take to the road, but not many of them have cars – instead, they are hitchhiking, often in very dangerous spots alongside the highway. Given that I have hitchhiked these roads myself, longer ago than I care to admit, I sympathize with them but I rarely give anybody a lift now. They often travel in groups of three or even more, and think that I have plenty of room in my SUV, but I don’t – it’s full of books, papers, baggage and tools, or at least that’s my rationalization. 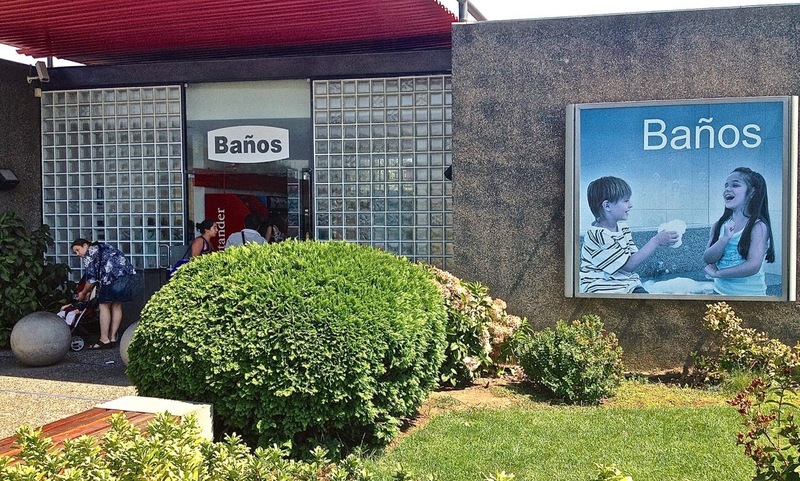 3) Some time ago, I wrote about the irony that, in Chile’s roadside servicentros, WiFi was usually free but they charged to use the bathrooms – usually a nominal fee, but there was always a person to collect before you could enter to relieve yourself. Fortunately, that appears to have ended; presumably, Copec, Shell and Petrobras have decided that their gasoline sales and concessions now pay well enough to subsidize the cost of cleaning the baños, and that people will make additional stops for convenience. That’s a win-win, in my opinion. 4) This has been a tough fire season, not unusual in the Chilean summer, but it was most notable in the Araucania region just north of the regional capital of Temuco. Near the town of Mulchén, where the native Mapuche have long been vocal about land claims and there have been instances of arson in the past, large stands of eucalyptus and Monterey pine – non-native commercial timber species – were virtually denuded. The eucalyptus have a chance to resprout, but the pines are likely to be a total loss. Every autumn, in California, we start hearing about the upcoming flu season and the need to get vaccinated before it starts. I normally haven’t done so, not because I’m an anti-vaxxer, but because I usually leave for southernmost South America, where summer is starting and flu treatment is a low priority. 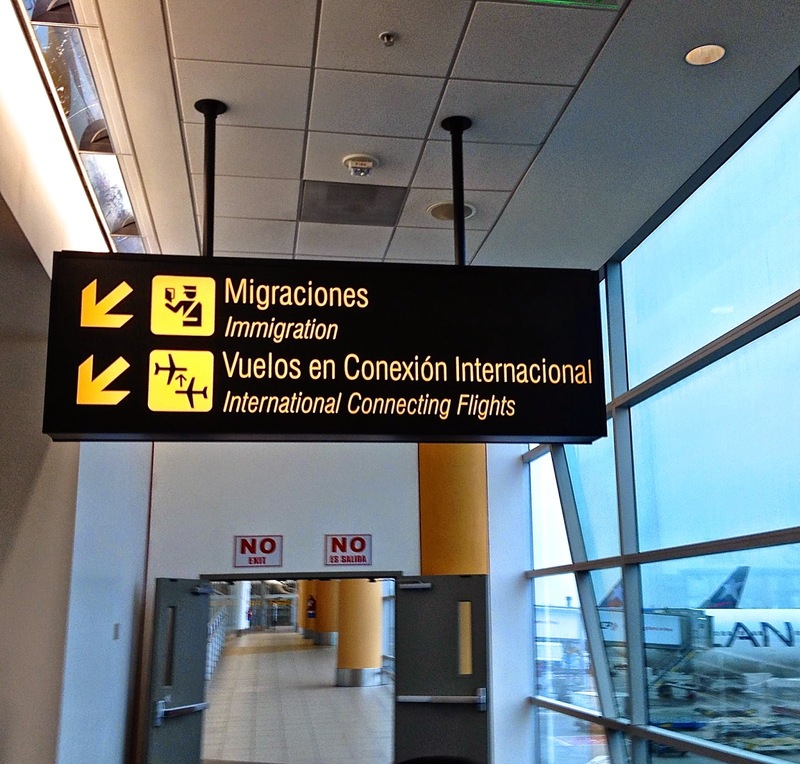 That was the case again this year, except that I returned from Buenos Aires to Oakland for most of December and January before returning to Chile last week. So far, my time here hasn’t worked out exactly as expected because, just a couple days after arriving, I got slammed by a vicious bug that left me nearly prostrate. 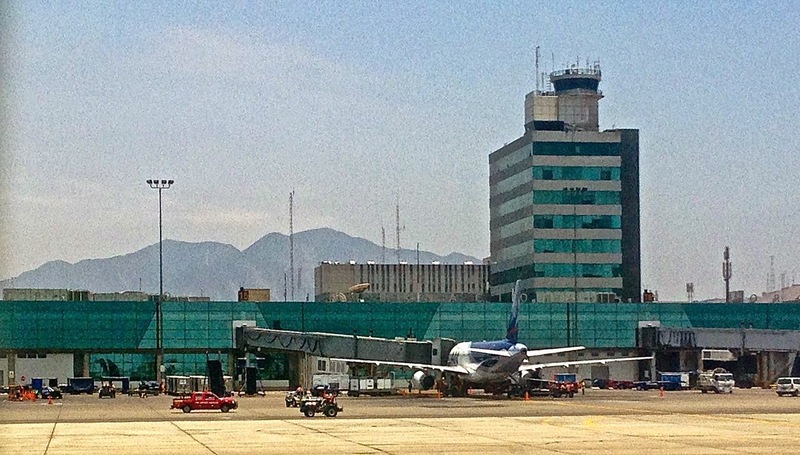 I am guessing – call it informed speculation – that my airport odyssey from San Francisco to Los Angeles to Lima to Santiago exposed me to something that vaccination might have fought off. I managed to see a few necessary contacts before it really overpowered me, and I’ve spent most of the time since in a reclining position – even sitting at the keyboard has exhausted me. 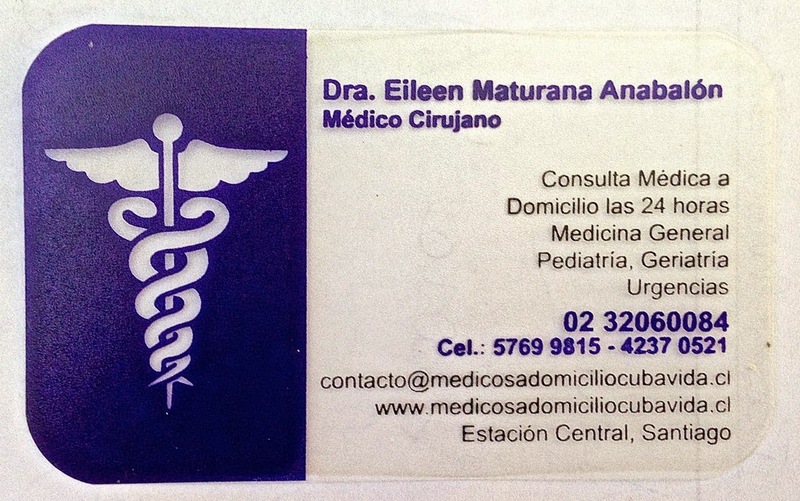 I didn’t really want to go the hospital, but after waiting it out for a few days, I let my friend Marializ Maldonado arrange a house call through Médicos a Domicilio Cuba Vida, an organization of Chilean-licensed Cuban doctors operating in Santiago. The very existence of the service surprised me, as physician house calls are a thing of the past in the United States – I don’t recall one since I was a child in Washington State, though I did get nurse’s visits after heart surgery a few years ago in California. 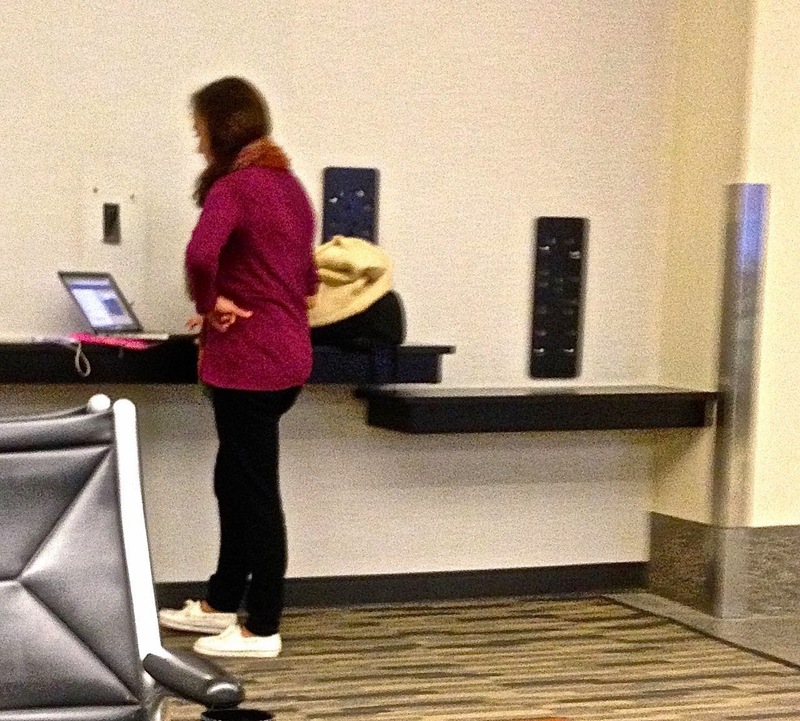 It was barely an hour from when Marializ phoned until the doctor and her assistant arrived, with state-of-the-art gear for measuring vital signs, and asking all the relevant questions about my medical history – even though she gave the visual impression that she might have interrupted a shopping spree at Victoria’s Secret. The diagnosis was bronchitis, and she wrote several prescriptions, including antibiotics, a strong cough syrup and an inhaler. 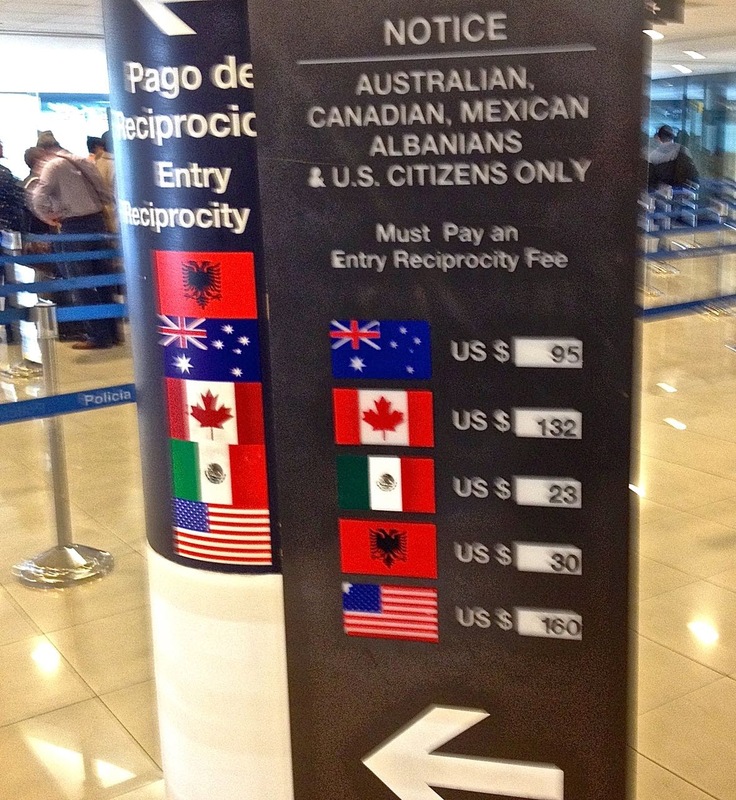 The cost was a modest 30,000 pesos, less than US$50 at the current exchange rate; the prescriptions were another 22,000 pesos (roughly US$35), but it’s reimbursable through my travel insurance. Fortunately, at home in California, I live only a few blocks from my regular health care provider’s hospital, so house calls are hardly necessary. It was a pleasure to learn, though, that such services are still available at a reasonable cost. I would recommend the service to anybody visiting Santiago, though it’s unclear whether or not they have English-speaking doctors. On a tangential note, the Cuban presence in Chile has become palpable in recent years, especially on the music scene. 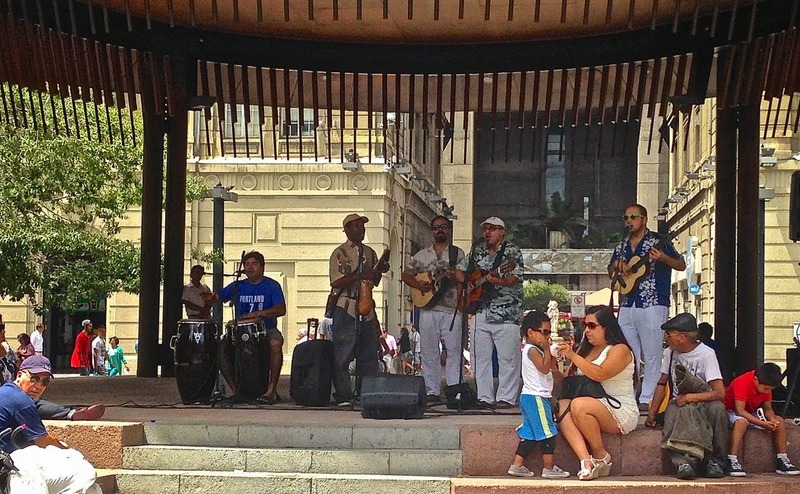 Only yesterday, as I went to board the Metro in the central Plaza de Armas, there was an excellent son-style group playing in the bandshell (pictured above). The crowd of spectators was small but appreciative.